I recently finished Roger Steer’s biography of the late Anglican pastor and renowned author John R.W. Stott titled Basic Christian. Thank you InterVarsity Press for sending this book to me during the Christmas season. What an amazing, full and exemplary life was lived by this giant of the evangelical faith. I have read several of his books over the years, most notably his The Cross of Christ (several times) which I learned in this biography was the book he considered his greatest work. But I regret that I never had a chance to hear him speak nor to learn more about his private and public life. I am especially intrigued that he was an avid birdwatcher and always took time to enjoy his hobby all over the world and sometimes at great personal expense and risk. This encourages me somewhat as I also have some obsessions (like bluegrass music) which is sometimes hard to explain to people in ministry circles. I have often suggested that people who do ministry should take up a hobby, an “other life,” a passion outside of ministry that is healthy, invigorating, fun and irrational. I’ve discovered that pastors and ministry leaders who do not have such an “other life” often become full of themselves and are more likely to burn out or fall into an other life which is more often than not self-destructive. I want to make this prayer mine also. 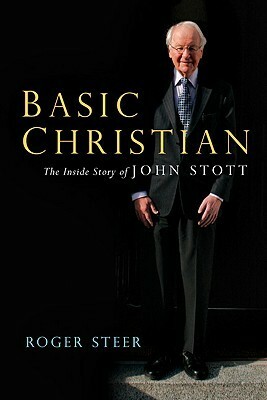 And I want to go back and read more of Stott’s books now that I know more about the man. I am at an age when I am seeking out contemporary mentors–dead or alive–who lived their lives completely dedicated to God with immense integrity all the way to the end of their lives. I have found one such mentor in the life and ministry of John R.W. Stott. This entry was posted in Ministry and tagged Basic Christian, birdwatching, Bluegrass, books, John R.W. Stott, Ministry, prayer. Bookmark the permalink.